Resounding success for DEUTZ in injunction proceedings Dr Frank Hiller, Chairman of the Board of Management: "The madness has come to an end." 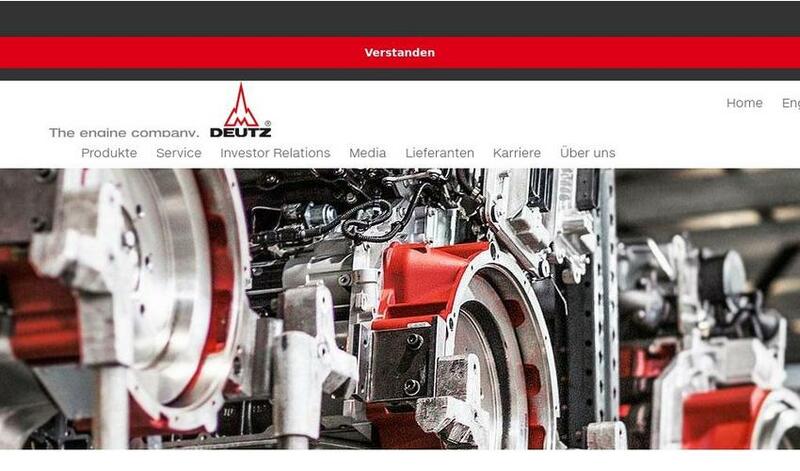 Planning certainty for employees and customers of DEUTZ AG. At the request of DEUTZ AG, the Saarbrücken Regional Court today ruled that Neue Halberg Guss GmbH (NHG) must resume supplying cast parts to DEUTZ AG as contractually agreed with immediate effect. The decision, issued in the form of a mandatory injunction Leistungsverfügung, provides DEUTZ AG with security of supply in respect of crankcases and cylinder heads. The injunction is initially valid until the end of the year. Should it be necessary in the future, DEUTZ AG will not hesitate to use all legal means at its disposal to ensure it is able to maintain a reliable supply to its customers. "The madness has come to an end. NHG will finally have to meet its commitments. This is a breakthrough for DEUTZ AG and our customers," said Dr Frank Hiller, Chairman of the Board of Management of DEUTZ AG, welcoming the decision. "We now have planning certainty - that's the most important thing." DEUTZ AG felt it had no option but to apply for an interim injunction when NHG, its partner of many years, demanded significant price increases, one-off payments amounting to millions of euros and firm purchase commitments in return for continuing to supply the parts, even though a valid contract was still in force and there was no legal basis for making such demands. The court's decision confirms our view that contracts must be honoured and, in a globalised world, suppliers must assume a special responsibility," commented Dr Frank Hiller.